Isolde Beauty: Shoes... glorious shoes! Ahh, I'm too excited. My L.K. Bennett shoes arrived, and they are heavenly. Yes, HEAVENLY. I was so happy I had to post and share. 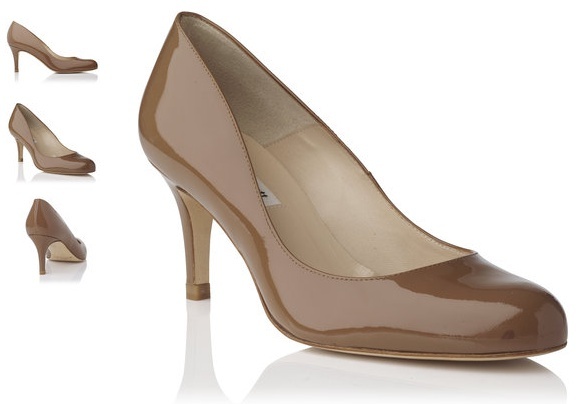 I blogged about how I fell in love with the Sabira shoes, and then regretted that I wasn't able to find my size in blue or navy... but low and behold, I found this lovely light brown, called latte on sale (£125 £155) and in my size, so ordered away. While I waited for them to arrive, I noticed that L.K. Bennett restocked my size of the navy ones! Oh dear, indeed. So I have now ordered a second pair - sadly not on sale (£155), but these are such classics, they will be wardrobe staples, and with a gloomy summer like this, treating myself to shoes is much much needed. On the subject of shoes... here's a clip from one of my favourite comedians, Dylan Moran, that I think you'll enjoy!